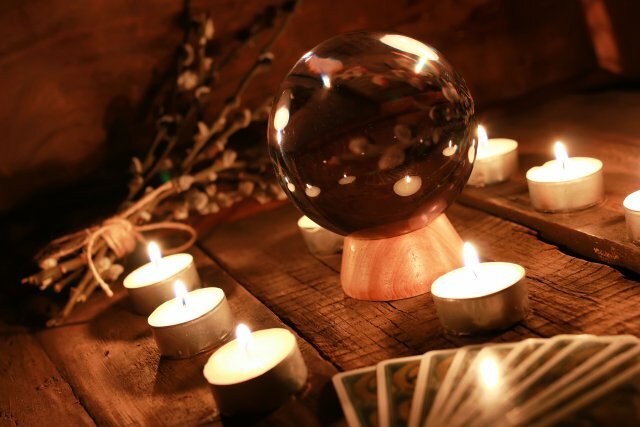 Did the psychic reading start with a crystal ball? All human activity has, in principle, a historical journey. Even in the most recent facts there is something to tell and psychic is not the exception because it is undoubtedly one of the ​​pseudoscience areas with the longest trajectory in human life. In all those years all the reading methods used by these blessed clairvoyants have been changing, and nowadays we have much more modern techniques. Even with that, it is important to note that in the psychic the changes have not been really profound, and all methods still retain the virtue of their origins. The psychic still seeks to win many more followers. Previously, it was more common to see people who could believe in something described as “supernatural” and “spiritual” more easily, but times have changed. With all this, it is worthwhile to make a brief review of the most important events that have occurred around this activity and from that we will be able to recognize its many virtues and the advantages it has brought without pause for humanity. The art of divination has its beginnings in the dawn of humanity, where it was necessary to look for some way of predicting the future (which did not necessarily come from a crystal ball). The people who were dedicated to this activity were recognized for having acquired a gift that some god had provided. This made them somewhat superior, and at that time in history they were highly respected. They were known as “healers or prophets.” Others gave rise to astrological beliefs, one of the oldest in all referring to psychic reading activities. However, with the expansion of much larger cultural phenomena, such as Christianity, this type of activity was left aside and even classified as evil or impure. These prophets or fortune tellers, who in their time had been solicited and admired, started to be associated with witchcraft. Defamation was plentiful for many years, and there are still people, though few, who associate it in such a way. Then, important characters -as Nostradamus- appeared and this man’s prophecies and predictions have been recognized even in our generation. The psychologist’s long journey in human life has led many scientists to confront it and seek an explanation. Even though there have been few results that are in any way favorable for them, this gave rise to quite particular fields within scientific areas, such as parapsychology. Today, we are witnessing a population that is mostly skeptical of all these beliefs, far beyond the thoughts of the psychic, even though they are curious about the subject. People naturally ask themselves questions related to what’s coming, what they have in their lives and that’s when they contemplate looking for a blessed expert or simply very well trained in the world of divination. Every day more people are interested in obtaining cheap psychic reading as an accessible method that allows them to solve some curiosity. This has expanded with the appearance of the internet, and today we have numerous pages that talk about the subject and where you can contact a psychic specialist. Once you contact him, you can request to cheap psychic reading where the person contacted will send you the results through the mail or any of the previously available resources. This undoubtedly, even when it does not represent a change in the technique of reading, can be considered without a doubt a great advance for this ancient activity. Tarot: one of the most important and the natural protagonist of cheap psychic reading. People use letters to understand messages in them and determine numerous aspects in the life of an individual. It has become the most common and used prediction method. Astrology: without doubt, the most common of all. This simply refers to the use and analysis of the positions of the stars to explain individual phenomena in our life. Aura reading: there are people who define their gift through reading the aura of people, determining from it what happens in their life. Crystallomancy: the popular crystal ball takes center stage when we talk about experts who are able to determine the future of people by looking through certain objects or certain elements of nature. As you can see, this activity exists almost from the dawn of history, becoming one of the most peculiar beliefs in humanity. The human being spends much of his time concerned with a lot of situations and aspects and always seeks to resolve doubts, whether linked to his past or his present. It does not seem a bad idea to take a short time to know what psychic reading determines for our life. It is possible that just by hearing this we know or see better what we have to do. The activity and function of clairvoyants is not limited to providing you with a message that you cannot see on your own, but also to help you solve your problems, offering you hopeful solutions to change the course of your destiny when necessary. If we have such practical tools to make our daily life much better, why not take advantage of them? You only have to get an online or face-to-face cheap psychic reading service with recognized quality, and you will see true changes in your life. To finish this, remember that as long as you have certainty that those working with a really reliable and recommended person, there is no problem. You have a great opportunity in your hands and there are no reasons to waste it.